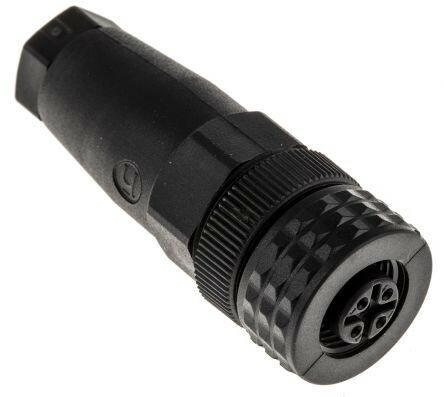 This product is a straight cable plug, with a clamping cage to prevent strain on the cable. The item is unassembled with circular connection screw termination, this allows for fast and efficient connection. The cable-mount is compatible for cables with a diameter from 4mm to 6mm. Housing for this connector is made from Polyamide. Polyamide is used in some cable connectors due to its high strength and resilience, it is also abrasion resistant resulting in durability. Contact surfaces on the ELKA/ELWIKA models are tin-plated, which inhibits oxidation extending the life expectancy. Tin is also low resistance optimizing conduction when needed in cable connectors.